The team of the popular science fiction series The Expanse booked with the visit of Cas Anvar to FedCon 28 after Nick E. Tarabay the second actor. Cas is a multi-talented, award-winning actor who has over 100 credits to his name in both film and television. Cas Anvar is now one of the leads on Amazon Prime’s sci-fi epic The Expanse. In a myriad of diverse characters he’s the Martian fighter pilot with Texan drawl and witticism up his sleeve. Deemed the Game of Thrones of Space, The Expanse has been likened to modern day Star Trek cult status. Cas Anvar has just wrapped filming with Martin Freeman and Diane Kruger on The Operative, a thriller soon to hit theatres. Earlier this year he co-starred with Peter Saarsgaard, Joey King and Mireille Enos in a Veena Sud drama currently titled Between Earth & Sky. You can also find Cas in Lost as Naveen Andrews’ brother. He was also our favourite villain on Guillermo Del Toro’s The Strain as Sanjay Desai. 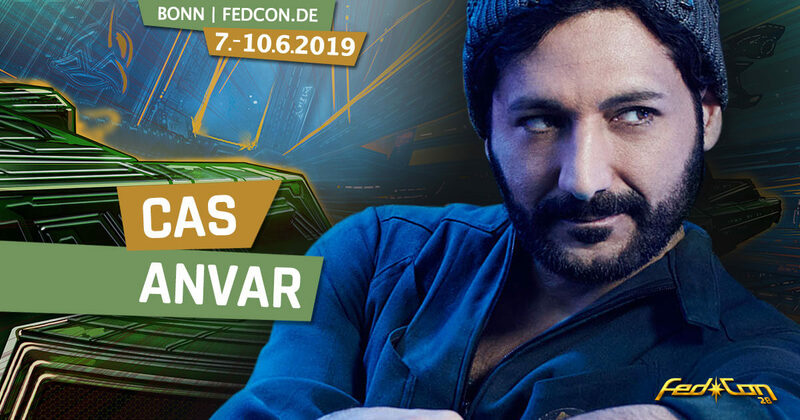 Save your ticket now in Ticket-Shop to experience Cas Anvar live at FedCon 28.